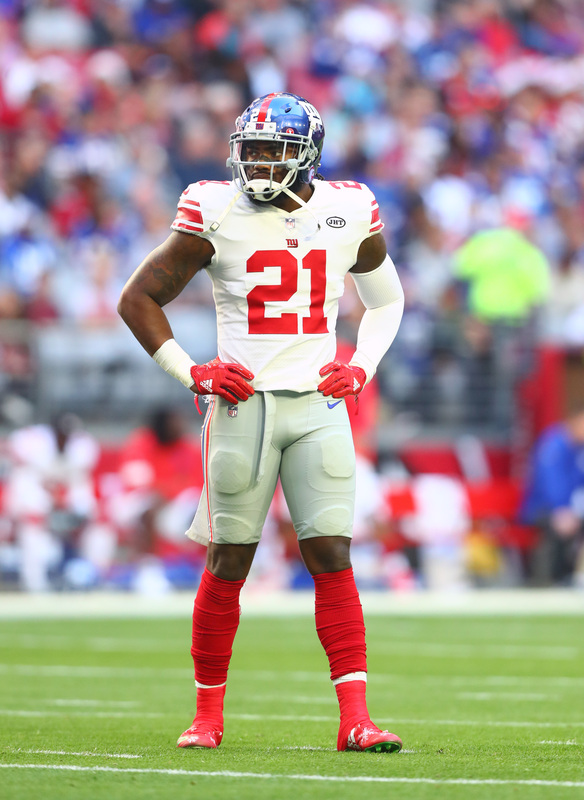 The Giants have yet to engage in extension negotiations with pending free agent safety Landon Collins, as he explained to Ryan Dunleavy of NJ.com. Collins admitted to Ralph Vacchiano of SNY that he’s not sure the Giants even want to re-sign him after he was dangled in trade talks last week. New York dealt both defensive tackle Damon Harrison and cornerback Eli Apple prior to last week’s trade deadline, but ultimately held onto Collins despite reported interest from multiple clubs. The Giants were looking for a second-round pick in exchange for the 24-year-old defensive back, and while the Chiefs, Packers, and 49ers all inquired on Collins’ availability, none were apparently willing to meet Big Blue’s asking price. Although they haven’t talked about a new contract for Collins, the Giants still seemingly have every intention on keeping him in their 2019 plans. Adam Schefter of ESPN.com reported earlier this week that New York will deploy the franchise tag on Collins next spring if it fails to ink him to a long-term agreement. Collins, who will almost surely aim to top Eric Berry‘s $13MM annual average (the highest among safeties) in 2019, could be retained via the franchise tag at a one-year cost of ~$12MM, but he won’t be pleased if New York does opt to use that tender, as he told Vacchiano. If the Giants reverse course and don’t use the franchise tag on Collins (and don’t come together on an extension), he’d be entering a free agent market that includes a stellar crop of available safeties. The safety market, of course, was incredibly stagnant this past offseason, and Collins would be hitting free agent alongside options such as Earl Thomas, Ha Ha Clinton-Dix, Lamarcus Joyner, Adrian Amos, and the group of safeties that were forced to ink one-year deals in 2018 (Tre Boston, Eric Reid, Kenny Vaccaro, George Iloka, and Tyrann Mathieu). Collins, a second-round pick in the 2015 draft, has been a full-time starter for the Giants since entering the league. A two-time Pro Bowler, Collins has 62 tackles, four passes defensed, and a forced fumble this season while grading as the NFL’s 13th-best safety, per Pro Football Focus. i wanted him to extend, but now it looks like the waters have been poisoned. being a Giants fan is getting harder and harder. The label on that poison reads “Eli Manning”. Giants have to somehow induce him to retire and get that contract off the books. This is why they have to dangle good young talent like Collins. I don’t see any other tag options for the Giants if it gets to that point.